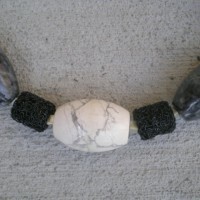 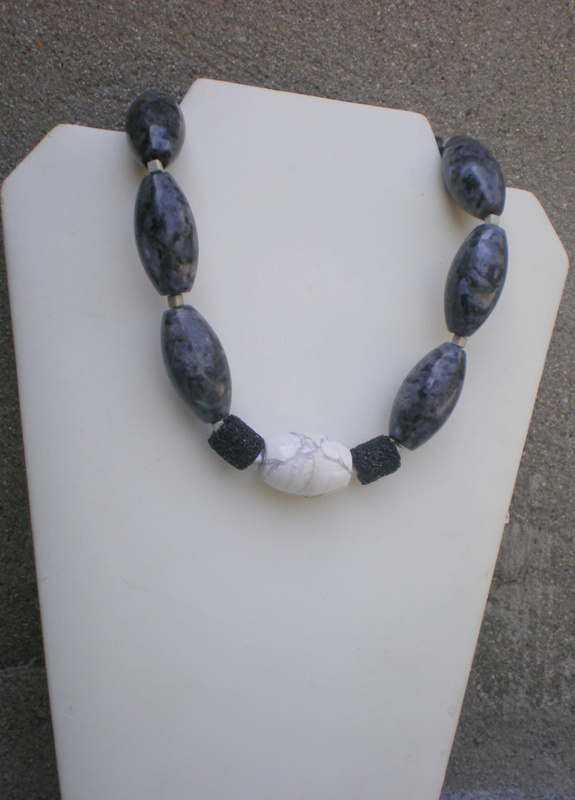 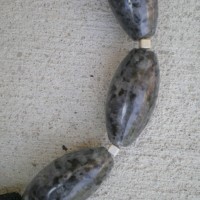 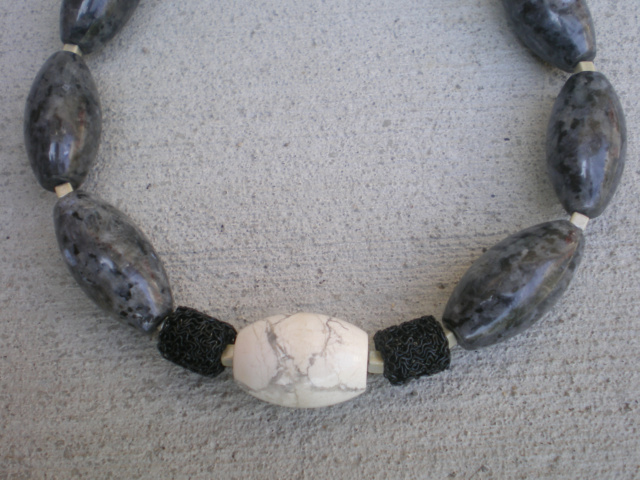 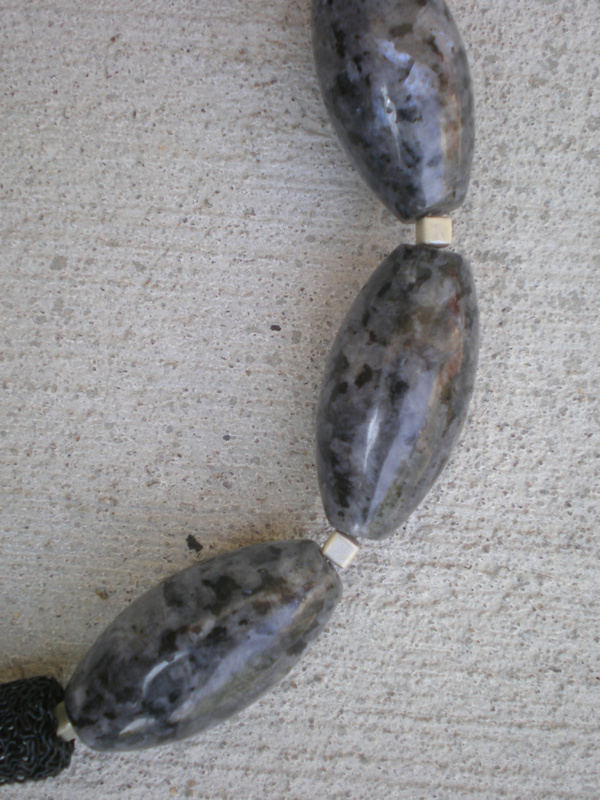 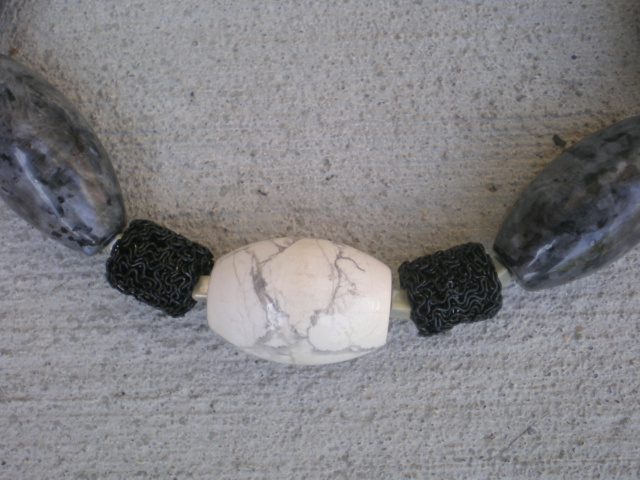 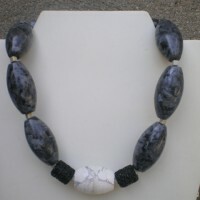 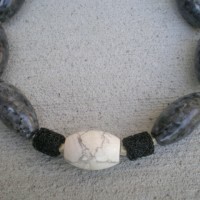 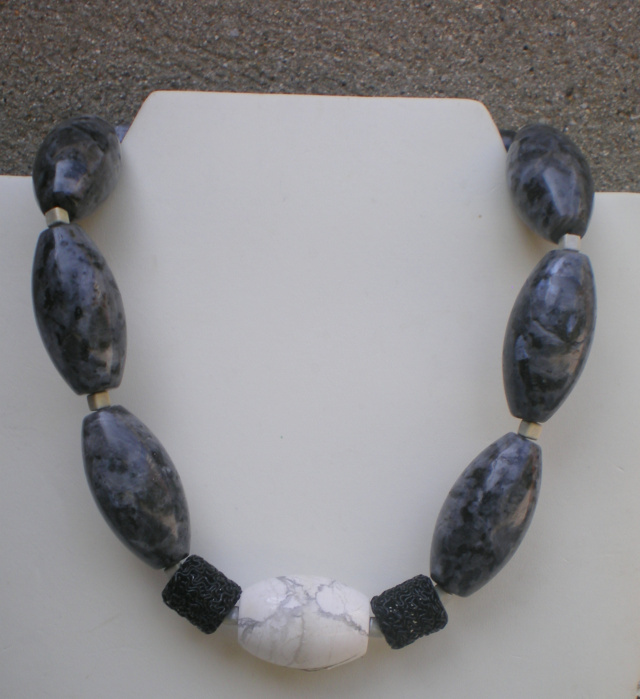 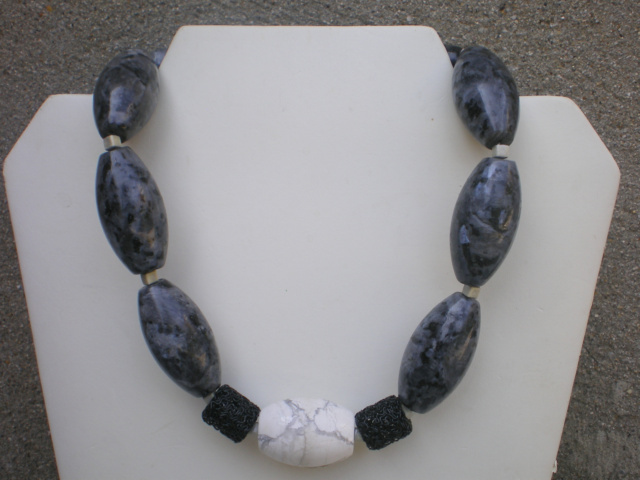 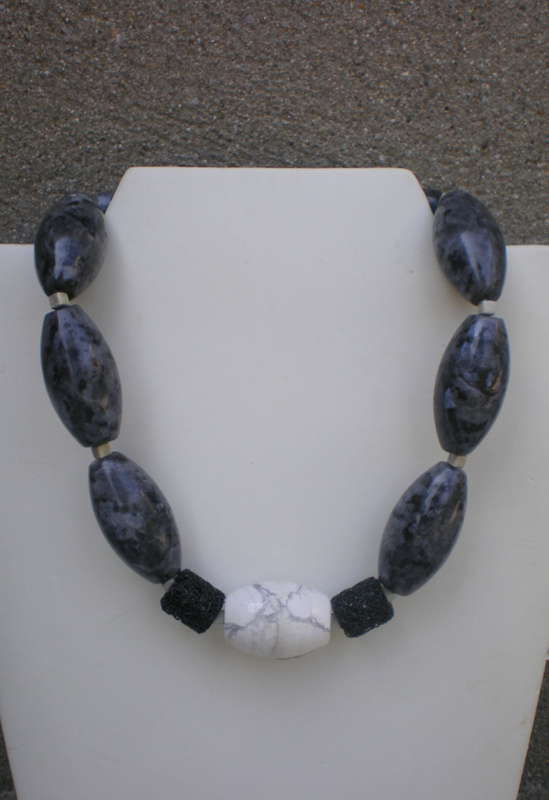 18 1/2″ Long handmade beaded necklace, large oval shaped Jasper stone beads with cube beige glass beads in between. 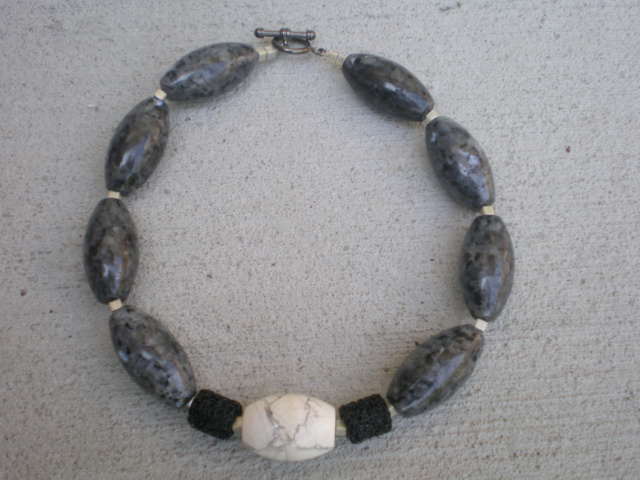 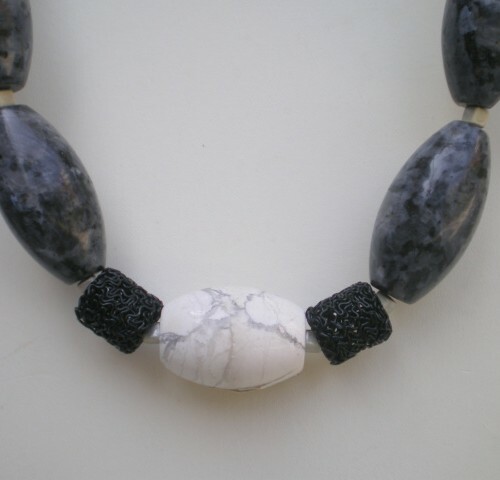 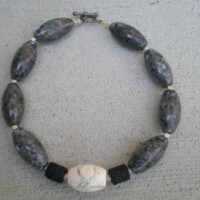 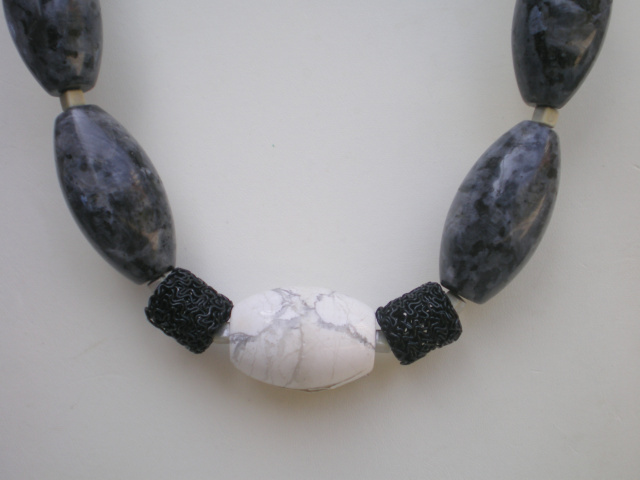 Front focal point consists of large Howlite barrel bead surrounded by the same beige beads and two black wire meshed beads. 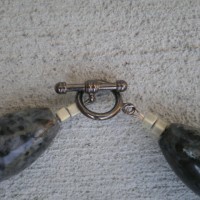 Black toggle clasp. 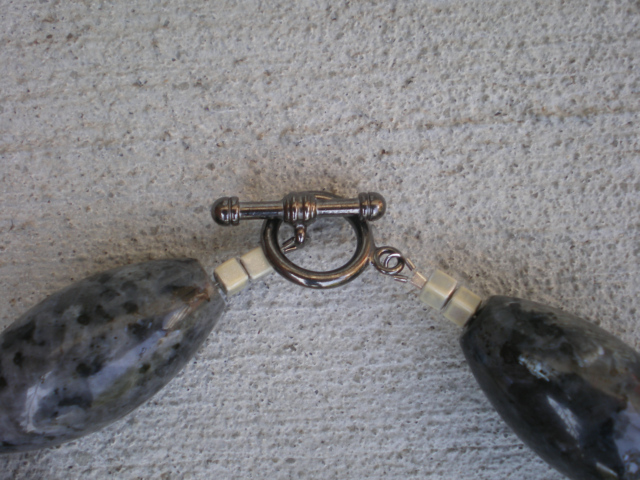 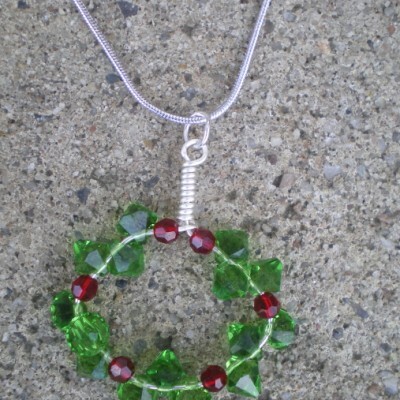 The mixing of the semi-precious stone and the mesh wire beads provides an interesting contrast. 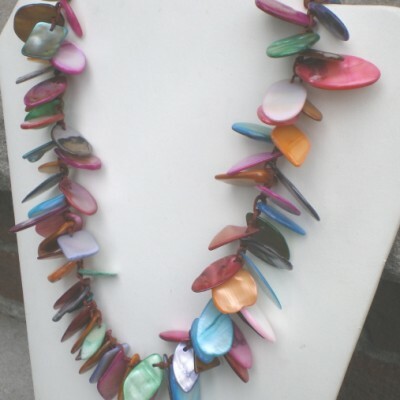 If you like big bold jewelry, This One Is For You. 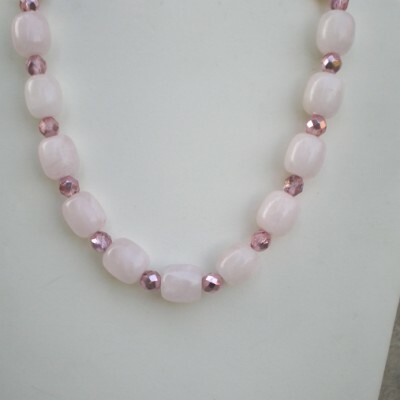 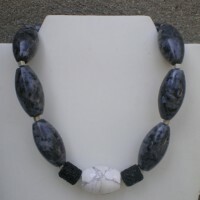 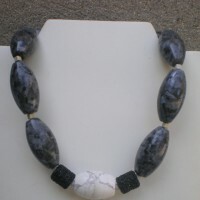 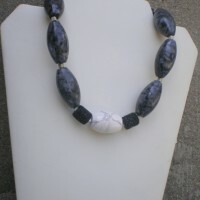 Be the first to review “Chunky Jasper Stone Necklace” Click here to cancel reply.